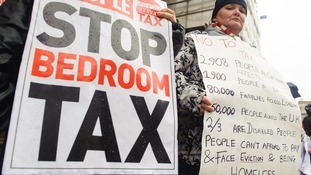 The Court of Appeal has ruled it is "unlawful and discriminatory" - so what will become of 'bedroom tax' now? A domestic violence victim and the family of a disabled teenager have won an appeal challenging the so-called ''bedroom tax''. 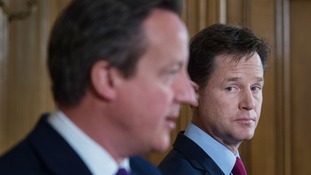 A Lib Dem-sponsored Bill which would introduce sweeping new exemptions to the so-called "bedroom tax" has cleared its first hurdle in the House of Commons despite opposition from Conservative MPs. A second reading of Andrew George's Affordable Homes Bill will now happen after Labour helped the Bill gain a majority of 75 after a 306 to 231 vote. Mr George said he had moved "moderate" measures to exclude social housing tenants from the policy until they receive a "reasonable offer" of alternative accommodation with the "correct number of bedrooms". An exemption would also be given if a tenant needs an extra room for "genuine medical reasons" or if the property has undergone "substantial" adaptations to help them live there, the Lib Dem MP said. A review of the Government's efforts to provide affordable housing would also be encouraged if the proposals come into law.